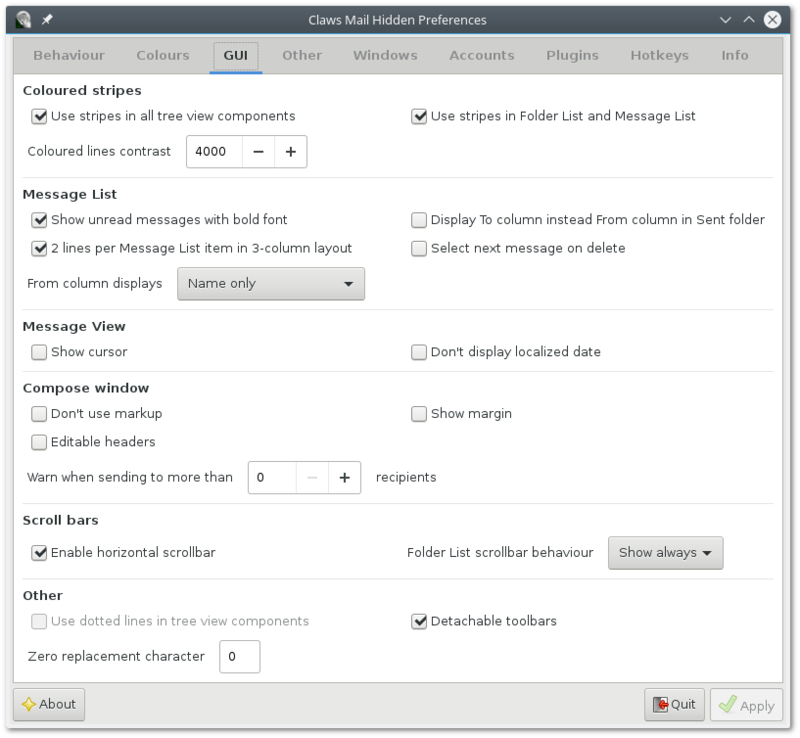 Clawsker is an applet to edit Claws Mail's hidden preferences. 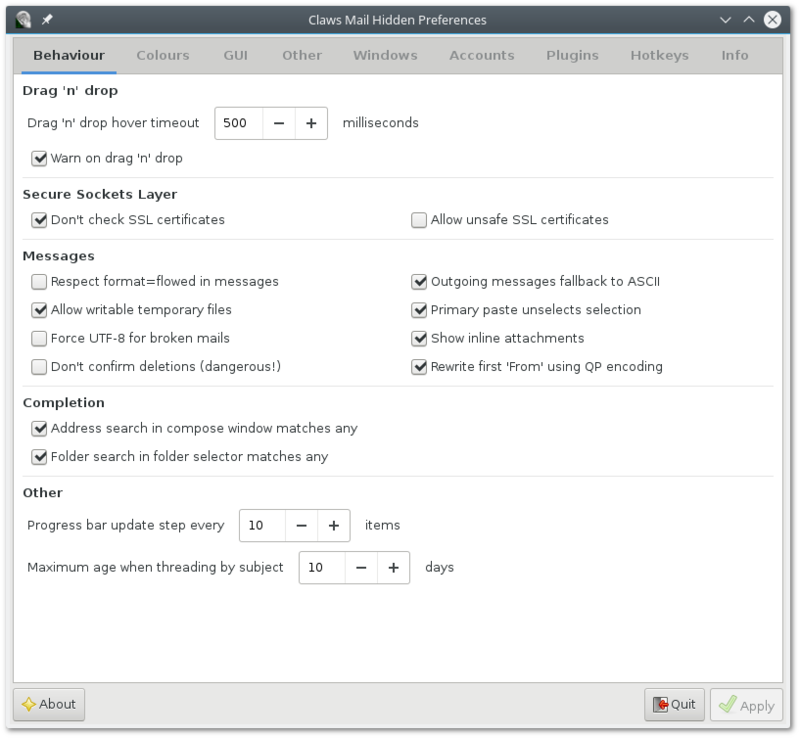 Claws Mail has a high number of configurable options and, in order to keep the binary small and fast, some of these preferences which are not widely used are not provided with a graphical interface for inspection and/or modification. Users wanting to edit such preferences had to face editing the configuration text files directly, now it is possible with a convenient GTK+3 interface using Clawsker. Handling of all hidden preferences, including plugins and accounts. Fully internationalized interface using gettext. 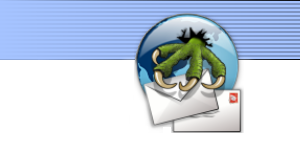 Detection of running Claws Mail. Support for alternate configuration directories. Editing all windows positions and/or sizes. If you want to contribute a translation please read the po/README file first. If you have questions or just want to get in touch with other translators of the project you can subscribe to the claws-mail-translators mailing list. The Translator's Information page also contains some generic help about gettext translations which you may find useful, (see "Information for new translators" section).